Elih Villanueva struggled, allowing three runs on six hits in 3 1/3 innings. 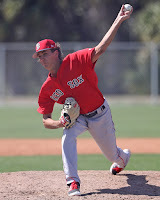 Trevor Kelley came on and allowed a pair of runs in 2 2/3 innings. Danny Mars and Josh Ockimey each went 2 for 3, Michael Chavis had a single and a walk, and Cole Sturgeon had a triple and a sacrifice fly. Kyle Hart was terrific over seven innings despite taking the loss. He allowed two runs in seven innings while striking out eight and walking just two. Adam Lau tossed a scoreless frame as well with one strikeout. Tate Matheny went 1 for 3 with his sixth home run and Austin Rei roped his 29th double. The Drive lost a slugfest, as they let an early 7-1 lead slip away. Jhonatha Diaz allowed nine runs in just 2 2/3 innings, but just three of them were earned. Hunter Smith and Juan Florentino each threw two innings and combined for seven strikeouts, no walks, no runs, and two hits. Greenville powered up with four home runs, as Tyler Hill, Bobby Dalbec, Jerry Downs, and Roldani Baldwin all went yard. The Spinners had just five singles, as Raiwinson Lameda and Nicholos Hamilton each went 2 for 4. Yorvin Pantoja started and allowed three runs (one earned) in 4 1/3 innings. Ryan Oduber pitched 2 2/3 scoreless innings with three strikeouts and Taylor Ahearn pitched a scoreless eighth. The Sox dropped this one despite mounting a bit of a rally in the ninth inning. Everlouis Lozada had a big game offensively, going 3 for 4 with a double. Eddy Reynoso added a pair of doubles and Pedro Castellanos ripped an RBI double. Zach Schellenger, a sixth-round pick out of Seton Hall this year, made his professional debut with a scoreless first inning with two strikeouts. Juan Perez also pitched well, allowing just a run in five relief innings. 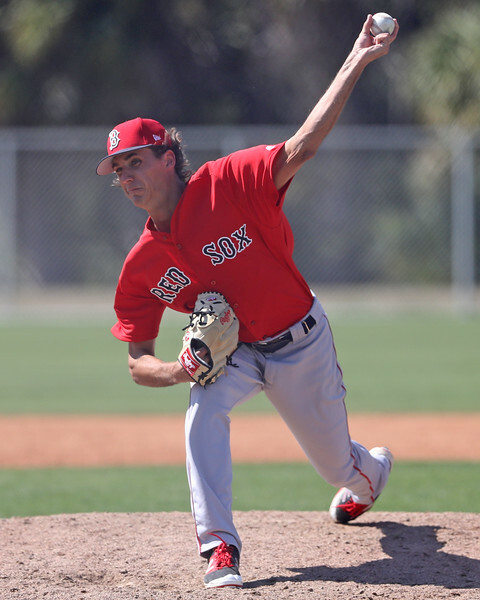 The DSL Sox got some terrific pitching that began with Kelvin Sanchez, who tossed three scoreless innings and allowed just one hit with three strikeouts and two walks. Geraldo Perez picked up the win with an identical line to Sanchez. Alberto Franco got the save with a scoreless ninth and two strikeouts. Willis Figueroa started in left field and went 2 for 2 before Luis Torres came in for him and went 2 for 2 as well. Jonathan Diaz also had a pair of hits in four trips. Player of the Night: Although the Salem offense couldn't pick him up, Kyle Hart did what he could to help his team win. Hart lowered his ERA to 2.20 in six starts for Salem while going seven innings in back-to-back starts. The 24-year old left-hander was drafted in the 19th round in 2016.